At People's Liberty, we're always asking questions. What can (and should) philanthropy look like? What projects can help define what it means to live in Cincinnati? What’s exciting, interesting, forward-thinking in the world? We like to pull inspiration from a variety of sources—not the least of which are masterfully created blogs. We’re most inspired by bloggers who deliver clear content in an accessible way. The Cool Hunter Journal is a hypermodern collection of observations in culture. These are examples of innovative design, art, and lifestyle activity. While the site tackles an extensive range of topics we find interesting, there is a dedicated section of child’s play exhibits, education centers, and playgrounds. We see similar high craft in Globe Grantee Julia’s Play Library, and are interested in how design remains relevant for a youth audience. Joanna Goddard, a professional writer and former editor-in-chief of Bene (an Italian magazine) tackles modern questions and issues in an accessible, simple, and clean style. Goddard also constantly curates illustrations and artwork from new talent, like Ellen van Engelen, Caitlin McGauley and Alessandra Olanow. 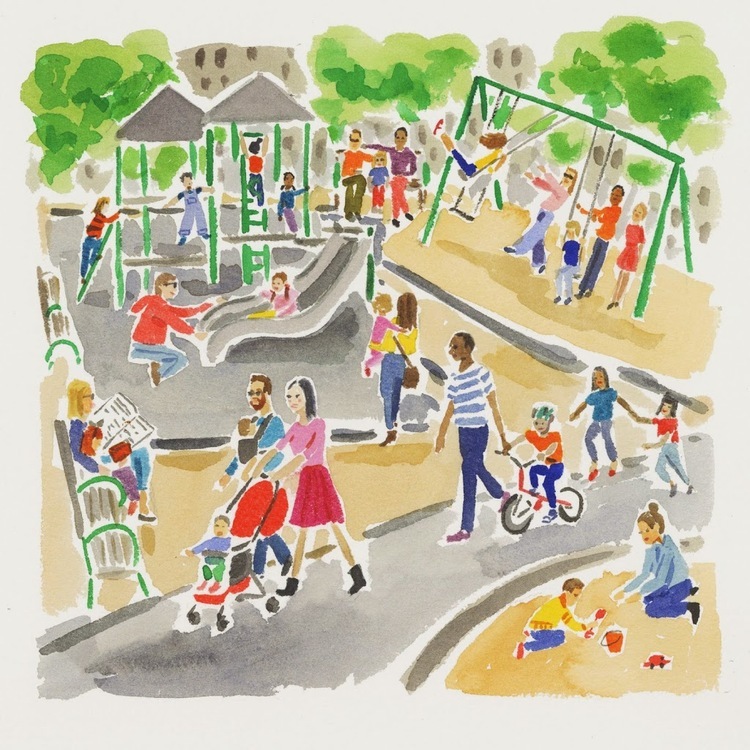 The site’s “Motherhood” section is an exploration of how to manage fun and liveliness in families with children.The question of how incorporate play into our daily lives is what the Play Library is also attempting to answer. When we’re not reading up on things that inform philanthropic action in the Play Library, we’re taking the action! You can too, this Sunday at the Play Library event hosted at People’s Liberty. RSVP on the event page, and contact Julia for more information. And remember, #playmore.